Tuned to the opening notes of "O Canada," the Canadian national anthem. Originally commissioned for the 1880 Saint-Jean-Baptiste Day ceremony, the song's music was composed by Calixa Lavalle and the original French lyrics were written by Sir Adolphe-Basile Routhier. The English lyrics that are used today were written by Robert Stanley Weir in 1908. "O Canada" has served as the Canadian national anthem since 1939, but wasn't made official until July 1, 1980. 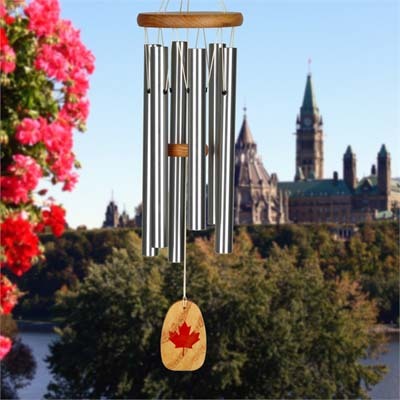 Because Canada is a bilingual country with both English and French being official languages, performers singing "O Canada" often mix the English and French lyrics.